Popular quiz show Ningalkkum Aakam Kodeeswaran Season 4 (NAK Season 4) telecast on Asianet Channel from 9th January 2017. 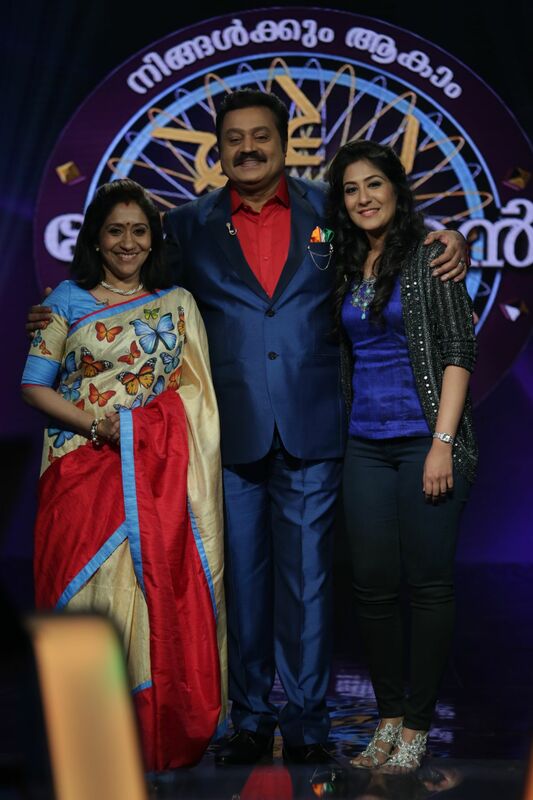 The fourth edition of “ Ningalkkum Aakaam Kodeeswaran ”, which saw actor Suresh Gopi donning the hat of an anchor with elan, offers a prize money of Rs. 1 crore , so far unsurpassed on South Indian television channels. The game show will test the competence of the participants in general knowledge , current affairs and all the major fields of knowledge. The preliminary round had participants vying for opportunity to attend the phone-in, written test and interview. The finalists can join the anchor in the hot seat and try their luck in the 15 rounds of the game. The finalists play a ‘Fastest Finger First’ round to make it to the main game. From there on, they play rounds with increasing levels of difficulty, and winning higher amounts of money, culminating in the Rs. 1 crore prize. Contestants can stop at any time having viewed the next question. Asianet & BIG Synergy Media Limited has produced the show. The show will be telecast on Asianet at 9.30 PM on Every Monday to Thursday.